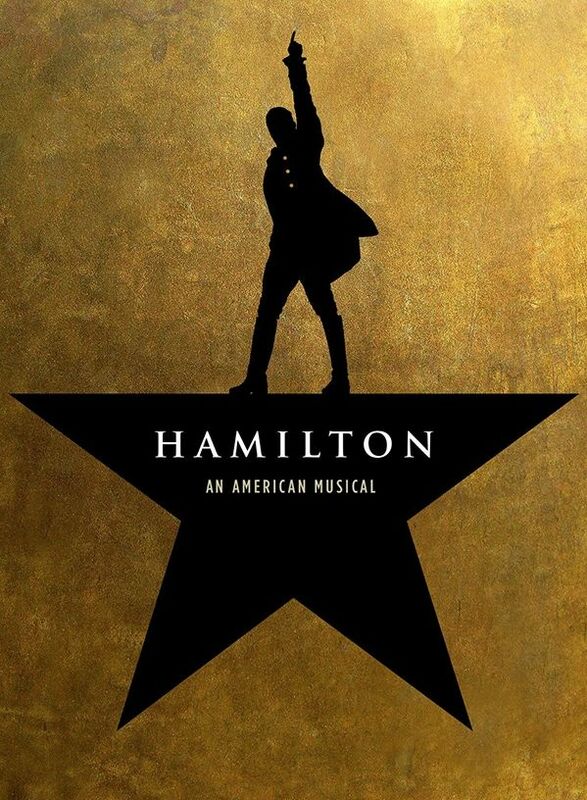 I told friends and family that seeing Hamilton was life changing, but I struggled to put “why” into words. It certainly helped me to appreciate art more fully again. Television and music were my only interactions with art, and these had degenerated into little more than just distractions – mind-numbing interference from the day-to-day struggles of academic medicine. Over time (I’m not sure quite when), I stopped reading for enjoyment in lieu of slogging through mountains of work-related reading. I had become more distant, a protective mechanism to ensure I didn’t feel too deeply at work; this was hard to shed at home. After Hamilton, however, I rediscovered the opportunity for art to help me reconnect emotionally with the world around me. Why, though? 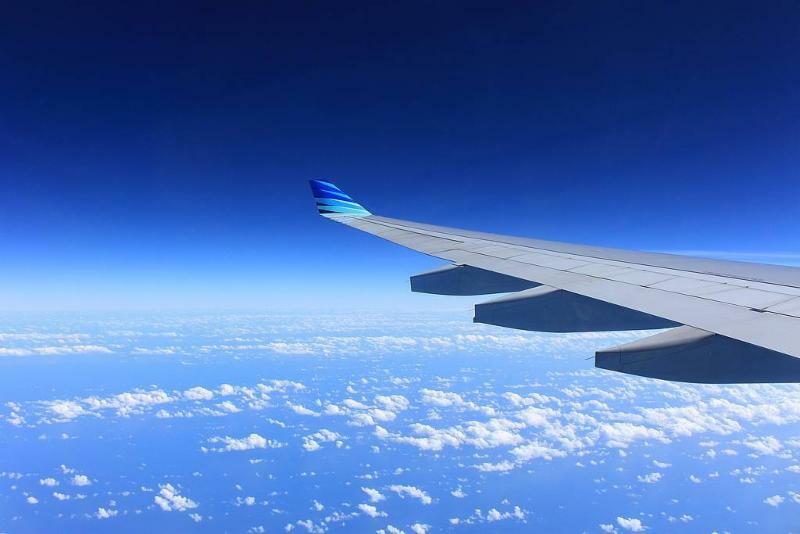 As I listened to the soundtrack on our flight back from San Francisco, the music spoke to me again – less about the characters from our American history, and more about what’s ahead of us in our collaborative partnership to transform medical education. How did our experience at the Developing Medical Educators of the 21 st Century conference help to move us along on this journey? Our mission is to transform medical education. OK, cool…is that all? Don’t get me wrong, I am excited, determined, and humbled to play a role in this movement – and I know we can succeed together. All the same, the hugeness of it all is daunting, with obstacles all around us. Where to start? On which key issue should we focus our efforts; alternatively, is it reasonable to choose one main issue when opportunities for transformation are ubiquitous? It is easy sometimes to feel frustrated – and even, in a way, comfortable – with barriers to innovations that are entrenched in our workplace. Even at MCW, where I grew up as a physician and where I work every day with talented and enthusiastic colleagues toward shared medical education goals, the barriers are palpable. Slow, incremental progress equals success, and inertia is normalized. Change fatigue is real and causes significant distress in our excellent teachers who are increasingly pulled in wide-ranging directions by competing demands from the academic medical center’s evolving ecosystem. On the last day of the conference, Dr. Patricia O’Sullivan gave an inspirational talk on the current state of medical education. Times are changing, and change is good for medical educators. There are many of us, each with our own set of experiences, strengths, and weaknesses – we may feel isolated or even like imposters at home. What could I possibly contribute to a big issue like burnout and suicide in health care professionals? I have no expertise in qualitative analysis. 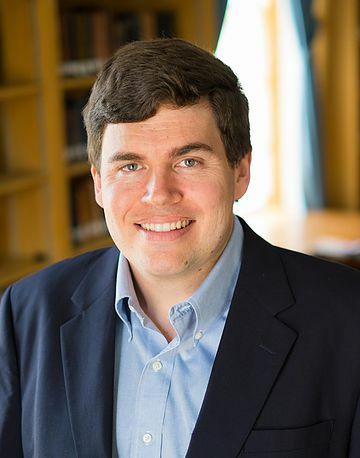 I’m an internist – how can I persuade surgeons, pediatricians, and biochemists to go out on a limb and teach differently than they have for years? Most educational leaders are already stretched thin improving their own courses, making it difficult to engage in additional projects, even if the work seems innovative and fun. Conferences like this allow us to use a different lens to identify colleagues like us, dedicated to driving meaningful change and willing to bring their unique skill sets, experiences, and resources to emerging partnerships. Mixing our varied innovative ideas during interactive workshops and conversations results in richer, more detailed, and further developed concepts than those we could hope to achieve from phone or e-mail conversations. It feels like more than a spark now. I see it in the eyes of our MCW team in attendance, our NTN partners, and new collaborators who share our drive to think big. Our ideas, maybe temporarily thwarted at home, are welcomed enthusiastically and strengthened via brainstorming sessions at workshops, small group discussions at lunch, and a hundred quick chats in the hallways between meetings. A conference like this is like suspended animation – protected time to focus on transformation without experiencing “death by a thousand cuts.” No pager or electronic medical records to check. Our out-of-office responses are activated on e-mail. We are reinvigorated. ﻿Then we fly home. When we land, all I can think about is seeing my family. The next day I’m back seeing patients and reminded that I’m now several days further behind in my charting and other work. It’s amazing how quickly the momentum and enthusiasm generated at the conference can be degraded by responsibilities. ﻿It is vital for us to capitalize on this experience, and future similar opportunities, as we work to capture that feeling and spread it back home. What good is being reinvigorated and focused if we lose it in a week? So we must organize our thoughts and develop plans for dissemination of our learning – and that feeling – back home. The issues we take up – optimizing the clinical learning environment, adopting a competency-based time variable education model, ensuring the well-being of our health care team members – do not have quick fixes. 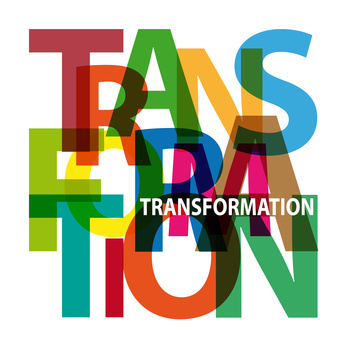 We are not the “Kern Institute for Incremental Change in Medical Education.” This makes it so important for us to be clear-eyed and detailed when we communicate our vision for change and document “what transformation looks like” in each project, work group, and content area we plan to address. That way, while we celebrate our incremental successes and “small wins,” we don’t lose sight of the end game. And as new team members join to take the place of others who transition to other projects, the goals are clear. Well, if we don’t, nobody will. I feel like we’ve struggled to find clarity for ourselves, much less convey that clarity to MCW and the national medical education community. But we think big. We take on projects to explore new undiscovered learning spaces like character development, caring, and entrepreneurial mindset in medical education – and we advance key transformational topics like clinical learning environment, women’s leadership, competency-based medical education, and well-being. We are flexible enough to explore emerging opportunities to truly transform character, competence, or caring, regardless of whether explicit alignment with previously identified work exists. Once we commit to a project, we are all-in – we work together to mobilize resources and activate collaborative relationships with colleagues who share our goals and ideals. We are willing to take risks and fail; but only if we learn from our failures and share those lessons to help set the stage for future transformational innovative efforts. But most of the time, we will succeed. We are the Kern Institute for the Transformation of Medical Education and MedEd Next . We’d love to have you help write our story. 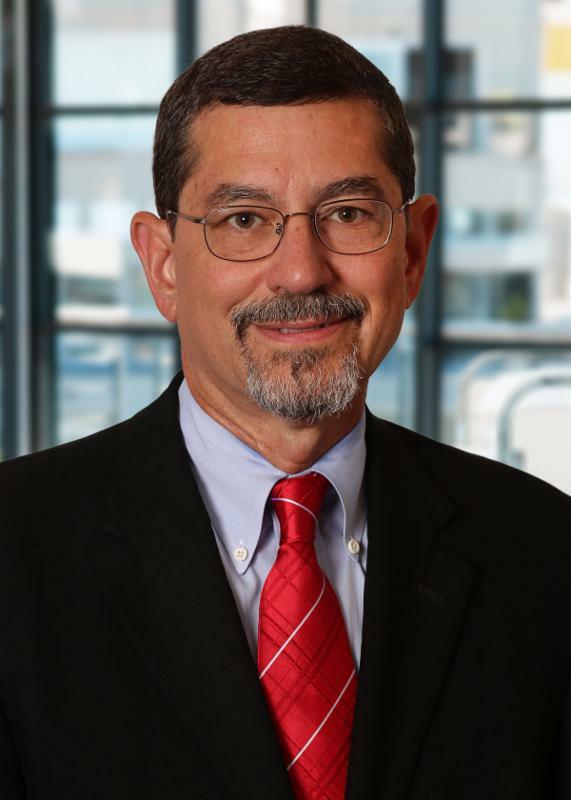 The Kern Institute proudly welcomes David P. Carbone, MD, PhD, who will present March Grand Rounds at the Medical College of Wisconsin. Doctors who find themselves a patient instead of a caregiver face challenges both physical and emotional, as well as professional and personal. Dr. Carbone, an Ohio State oncologist who survived lymphoma, will share his personal story with us. You may also join us by Live Stream. We invite you to participate in a small group conversation to help us better understand caring in medical education. All faculty, students, and staff are welcome. 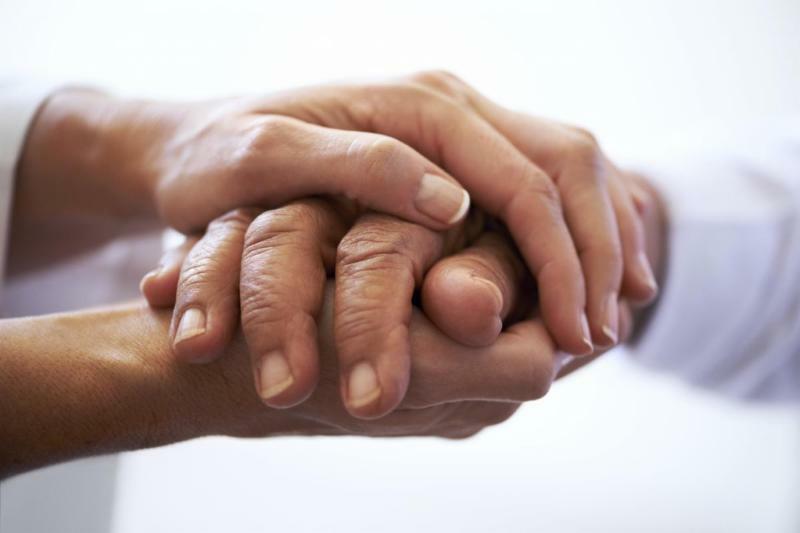 What are the essential components of caring in the context of physician-patient interactions? How can we teach caring and self-care to our learners? Can cure occur without caring, and if not, what is the relationship? We hope you will join us. Your ideas and insights will be valuable to us as the Kern Institute moves forward. To sign up, click here. ﻿You may also join us by Live Stream. The University of California San Francisco School of Medicine and the Medical College of Wisconsin hosted a very successful three-day medical education conference in San Francisco in late February. 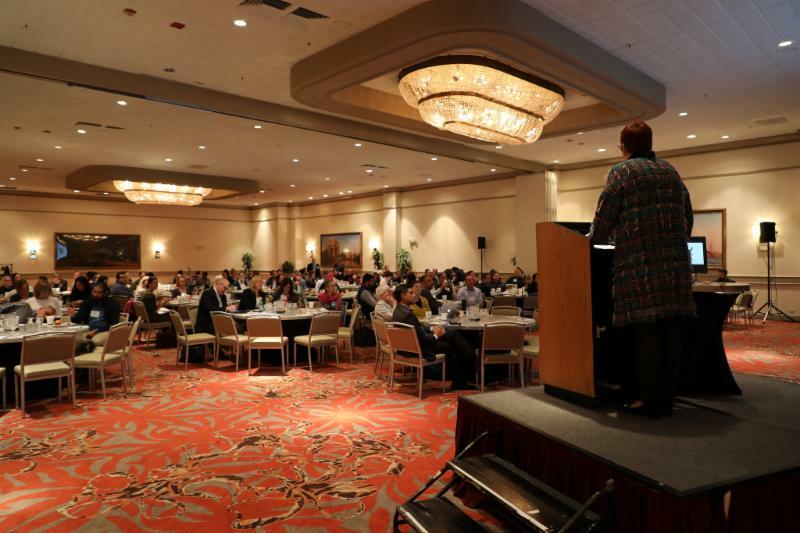 The event drew 130 medical educators from 25 states and five countries. 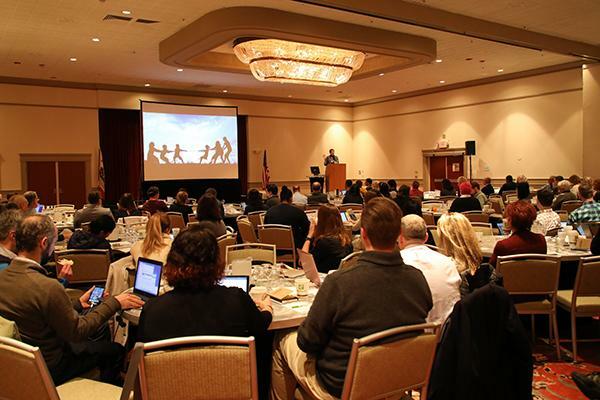 This was the first conference collaboration of two Kern Institute National Transformation Network partner schools, and plans are already underway to host the 2nd annual conference in 2019. ﻿Catherine Lucey, MD, of UCSF delivered an inspiring opening plenary that set the tone for the whole conference. Patricia O'Sullivan, EdD, Sandrijn van Schaik, MD, PhD, and Jos é Franco, MD, served as the course directors for the conference. To v iew a complete list of course sessions, click here. 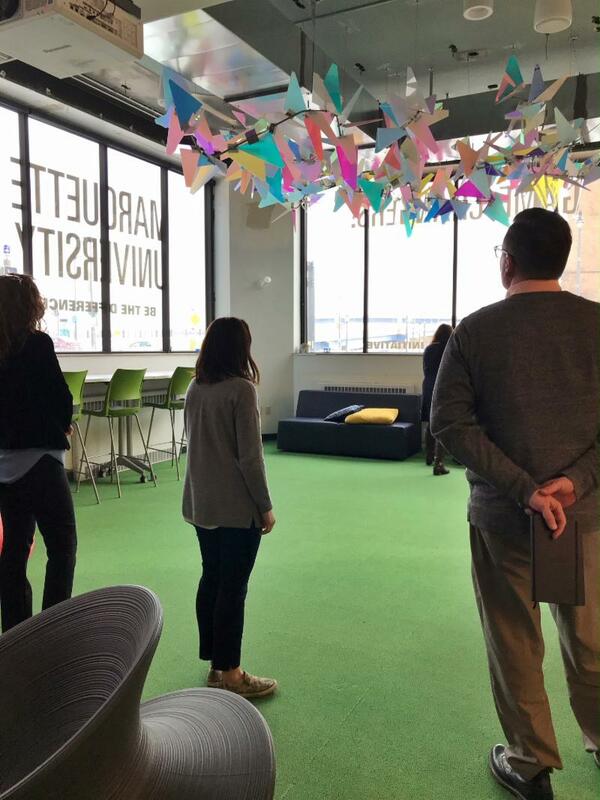 The Kern Institute Leadership Team toured Marquette University's 707 Innovation Hub in February. Chris Decker, Kern Institute Culture and Systems Director and MCW Chief Transformation Officer, describes the 707 Hub as "a raw, collaborative space where faculty, students, artists, business leaders, and community members come to work together to innovate solutions to problems large and small." 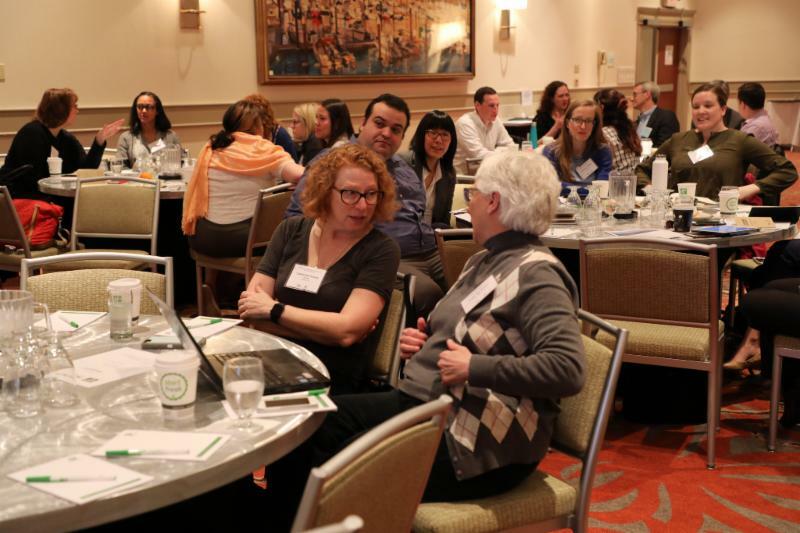 It's a place that brings people together, making connections with partners who can help move their project forward and is facilitated by two dedicated staff members who help support project planning and navigate funding proposals through a grant process. The 707 Hub is where ideas are shared, stretched, challenged and realized. Part of Marquette's Office of Research and Innovation , the 707 Hub is a space designed to foster collaboration and innovation. The space is open to all, and they encourage a cross-disciplinary approach to solving problems. The 707 Hub offers unique and inspiring spaces for meetings, presentations and events. For more information about Marquette's 707 Hub, click here. "Through our National Transformation Network Clinical Learning Environment (CLE) Work Group, we are working on a multifaceted plan to better understand the strengths and limitations of our CLE across several institutions so that we can learn from each other and optimize together. Improving the clinical learning environment is a key component in transforming medical education." "Through events like the Kern Café, Grand Rounds, and the Kern Journal Club we are opening up the conversation about transforming medical education with a focus on character, competence, and caring. 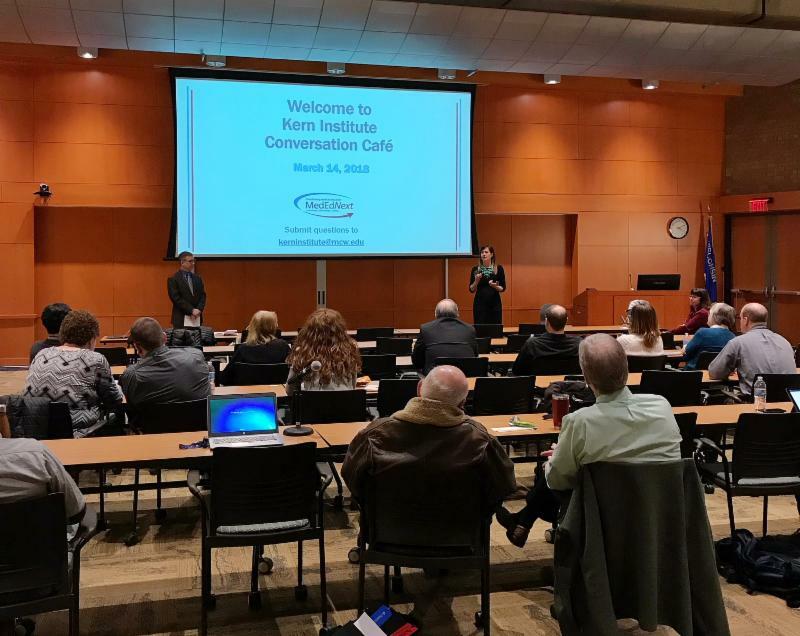 These conversations mark the beginning of the development of a guiding coalition that will join us as we build an educational culture that is supportive of the goals and direction of the Kern Institute." 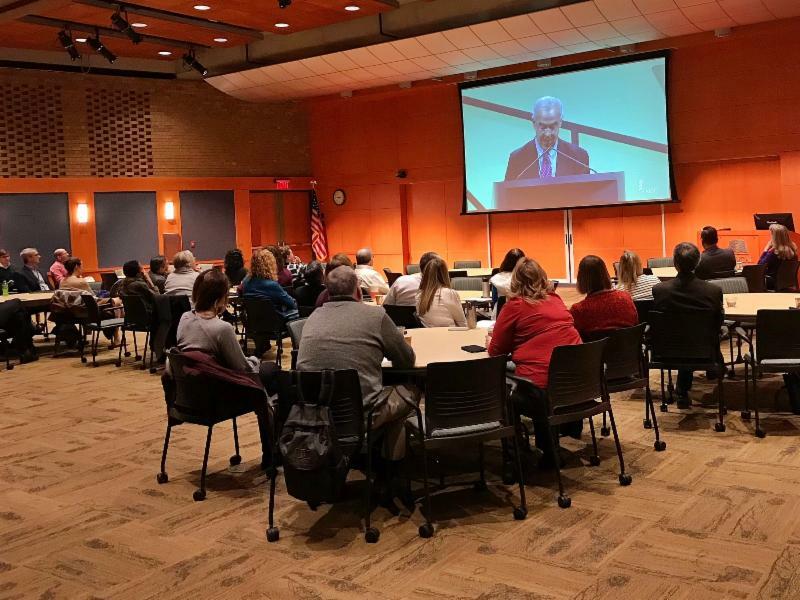 The Kern Institute hosted two events this past month. ﻿If you weren't able to attend, you may view the event recordings listed below. A video presentation of David Brooks at the 2017 AAMC Plenary Session, with discussion following facilitated by Ryan Spellecy, PhD. This event was co-sponsored by the MCW Office of Diversity & Inclusion. View the recording of this event here. 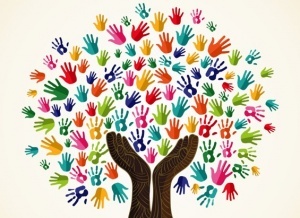 ﻿ How Can We Help Our Students Thrive? A conversation on wellness, resiliency, and strategies to help medical students thrive, facilitated by Cassie Ferguson, MD, and Michael Lund, MD. The Kern Institute at MCW is expanding in order to accomplish our 2018 goals and objectives, as well as plan for 2019 and beyond. Each of our five teams will be hiring a Program Coordinator III, who will be an important partner in developing and implementing the initiatives of each team. The five teams (referred to as “pillars”) are differentiated by their individual focus, which are: Faculty, Students, Curriculum, Culture and Systems, as well as a Cross-Pillar team. If you, or someone you know, is interested in joining us on our journey to transform medical education, please visit the MCW Careers page here and select the Kern Institute in the department search field. We like to think of ourselves, our friends, and our families as decent people. We may not be saints, but we are still honest, relatively kind, and mostly trustworthy. Miller argues here that we are badly mistaken in thinking this. Hundreds of recent studies in psychology tell a different story: that we all have serious character flaws that prevent us from being as good as we think we are - and that we do not even recognize that these flaws exist. But neither are most of us cruel or dishonest. Instead, Miller argues, we are a mixed bag. 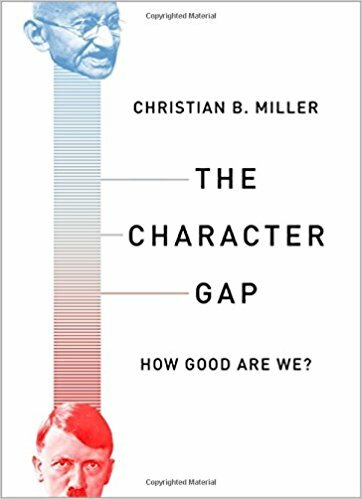 Miller uses this recent psychological literature to explain what the notion of "character" really means today, and how we can use this new understanding to develop a character better in sync with the kind of people we want to be.